Uploaded by [email protected] SEND US YOUR BEST FIXES! Pot lids are one of those everyday items we don't often think about... until the day they break. 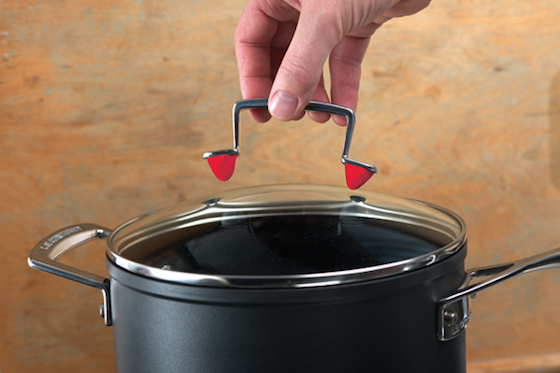 The handles just have a nasty habit or coming loose and breaking, making them unusable. Using some Sugru and the handle you already have, you can easily reattach it and have it back in the kitchen in no time. Sugru is perfect for this job as it bonds to most materials, including glass and is also heat resistant up to +180°C so it can cope with life on the stove. Once cured, Sugru is easy to clean with soap and water, and it's dishwasher safe too! 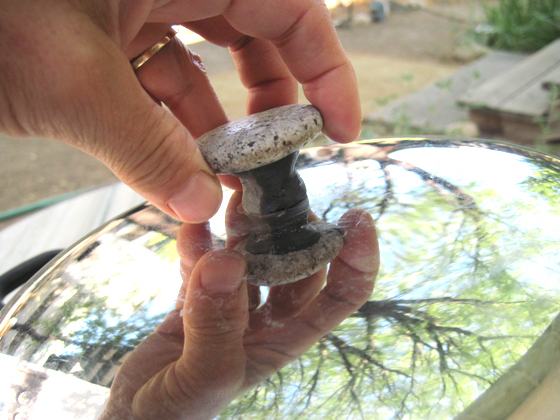 Top Tip: If you're feeling imaginative, why not try creating your own unique handle, like Janet did using Sugru and a granite pebble! If you like this fix, you'll love some of the other clever ways Sugru can improve your kitchen. Be prepared for those unexpected moments in the kitchen.